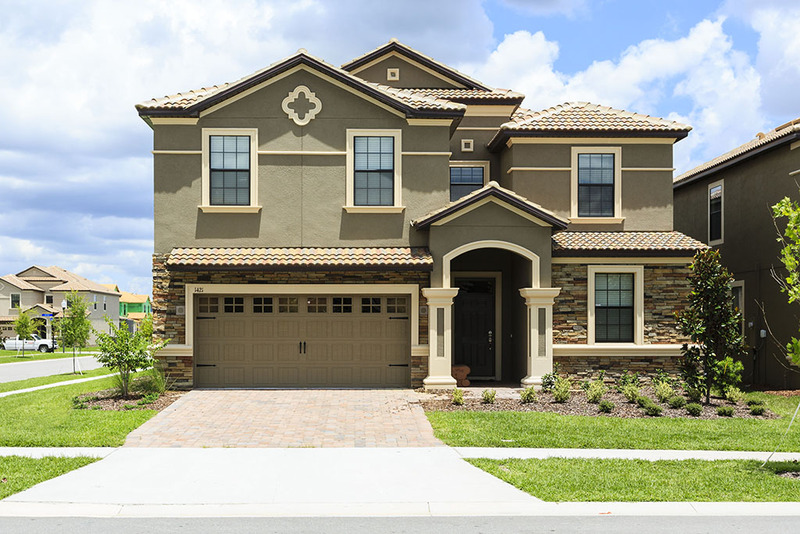 A brand new 8 bedroom home situated within the new resort, The Retreat at Champions Gate. 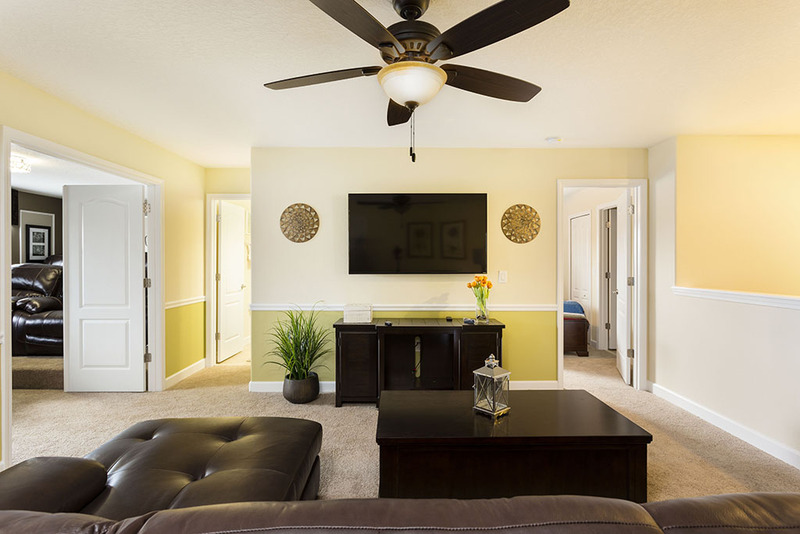 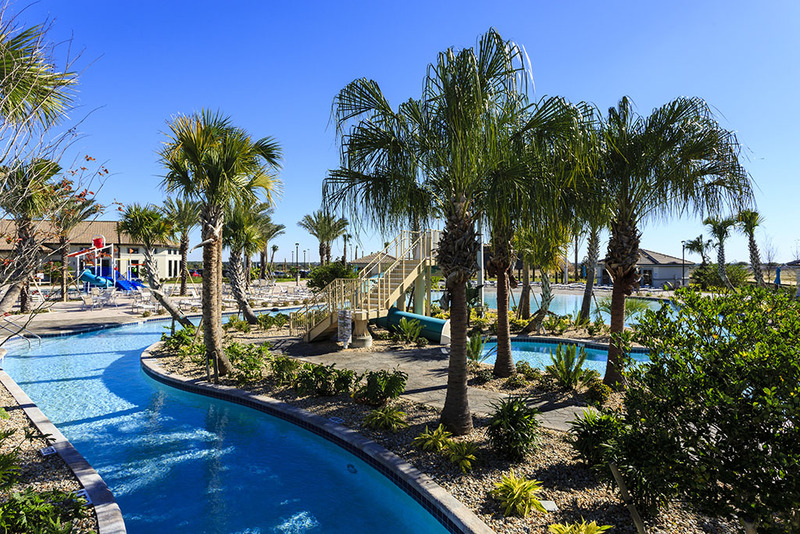 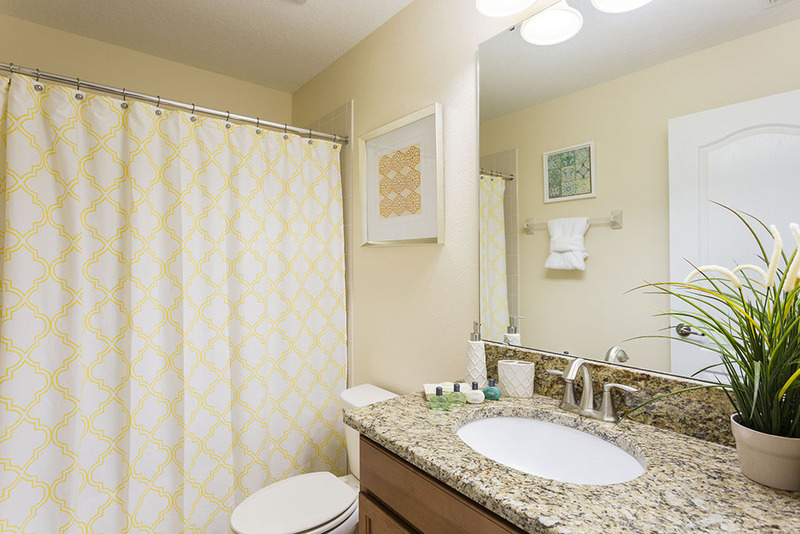 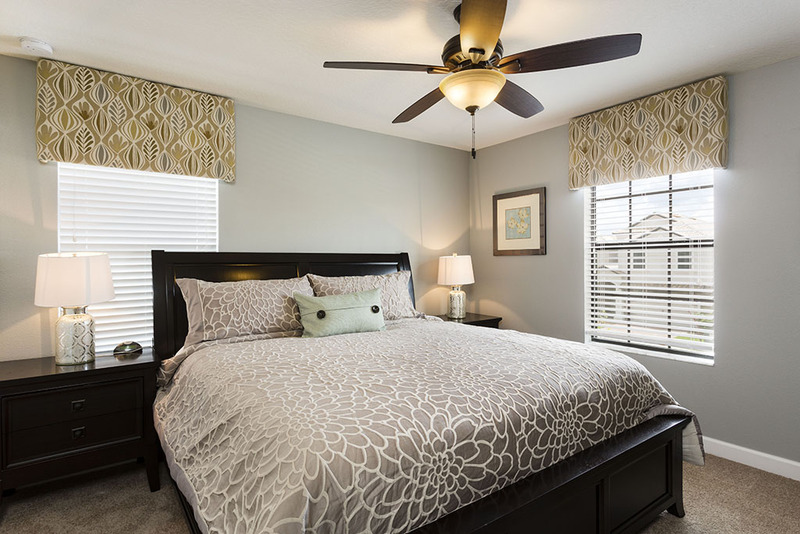 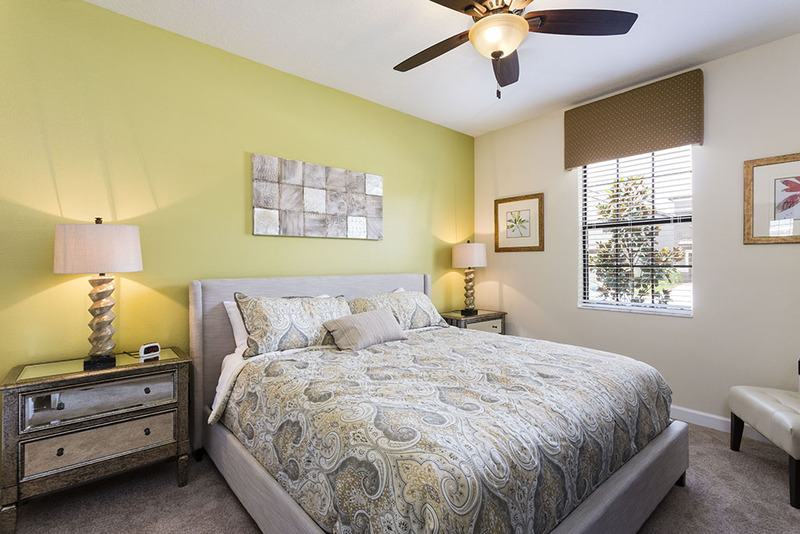 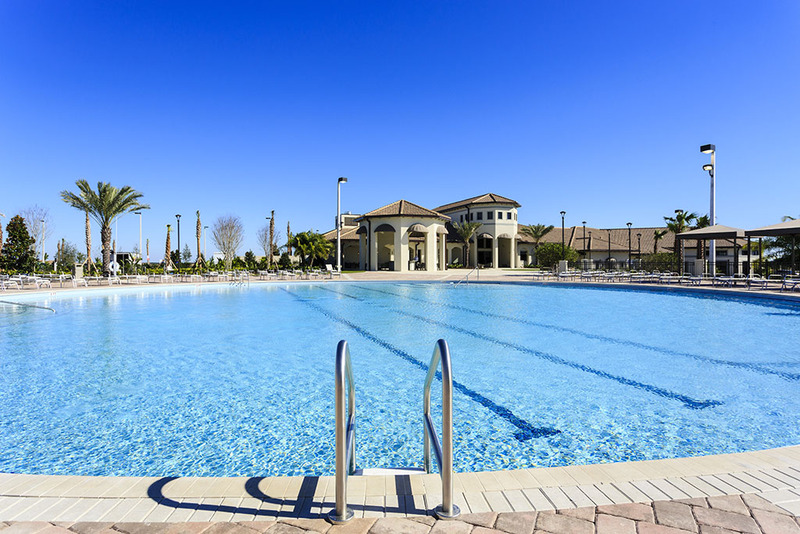 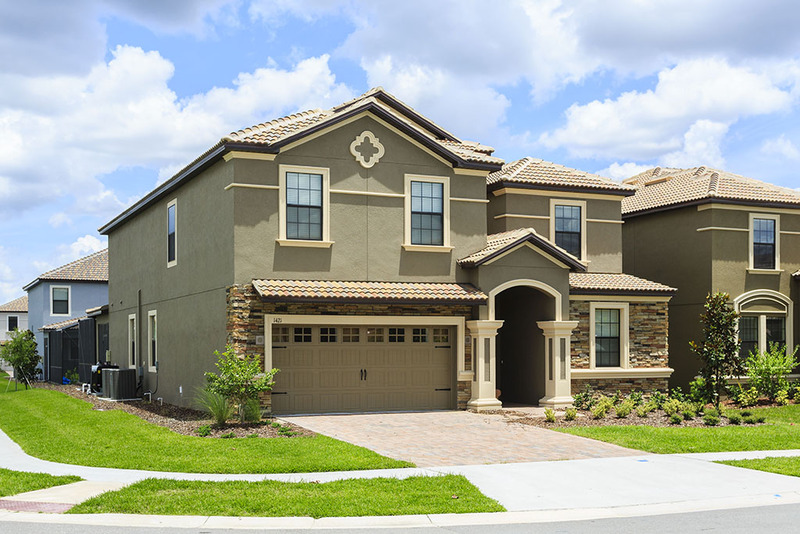 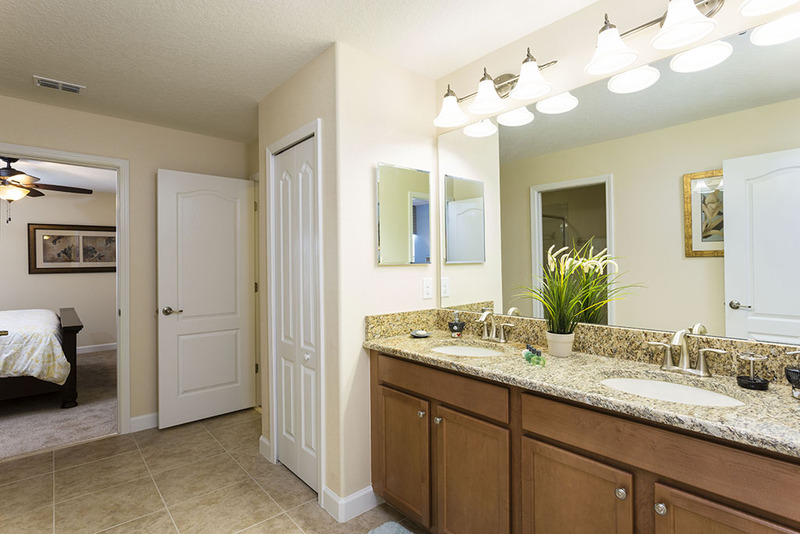 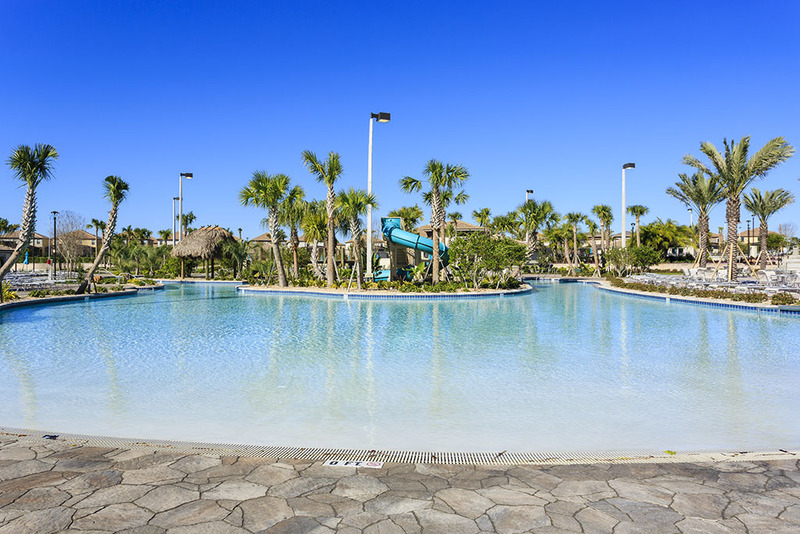 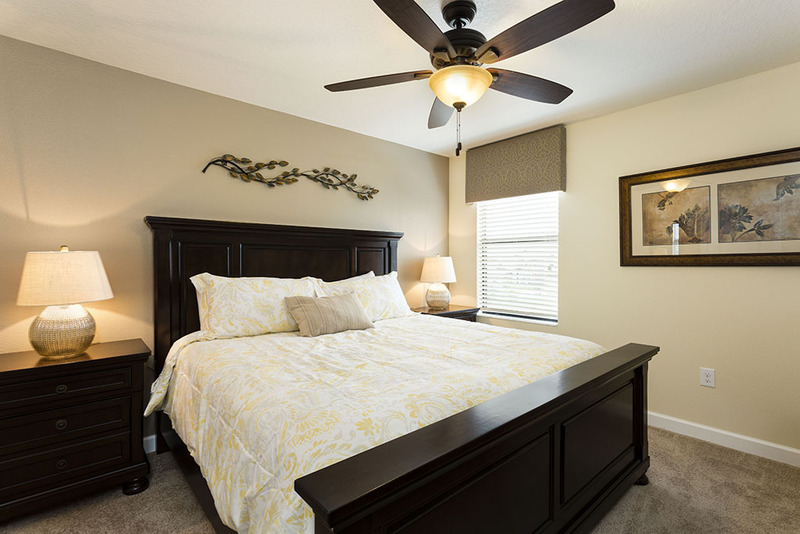 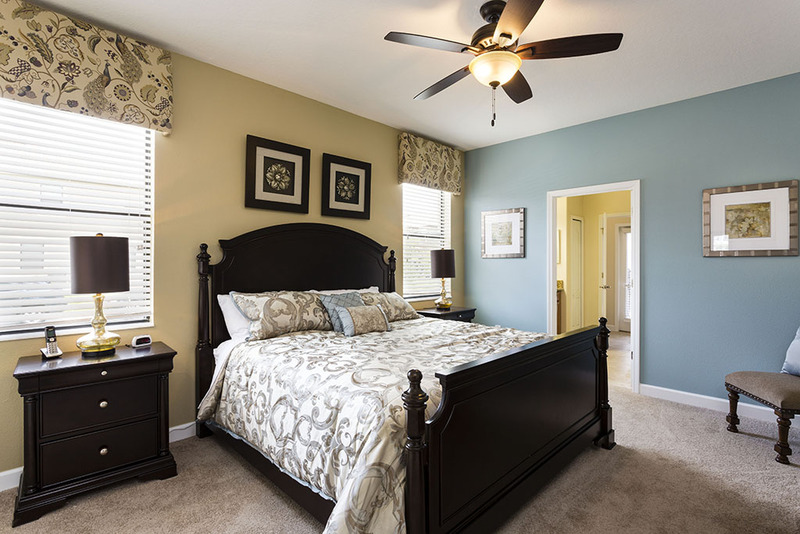 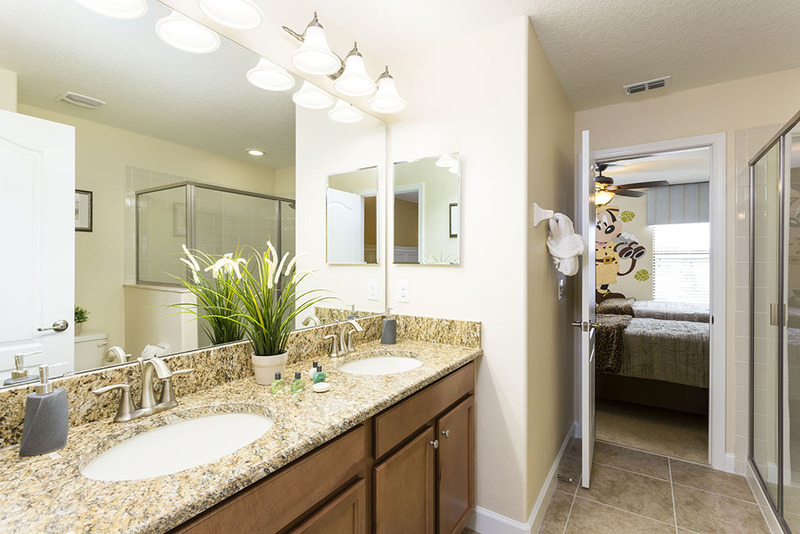 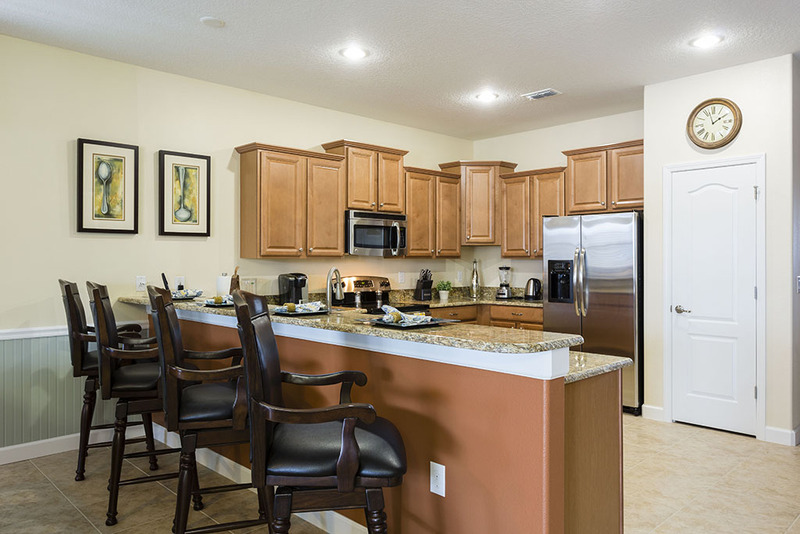 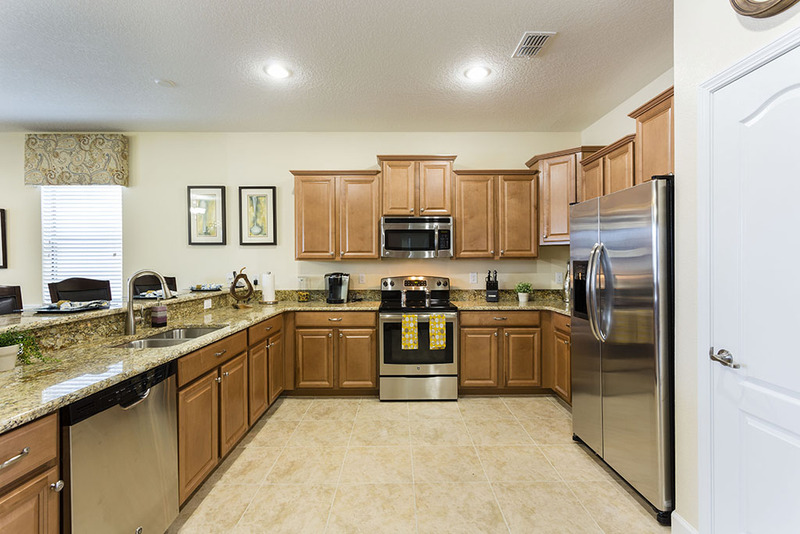 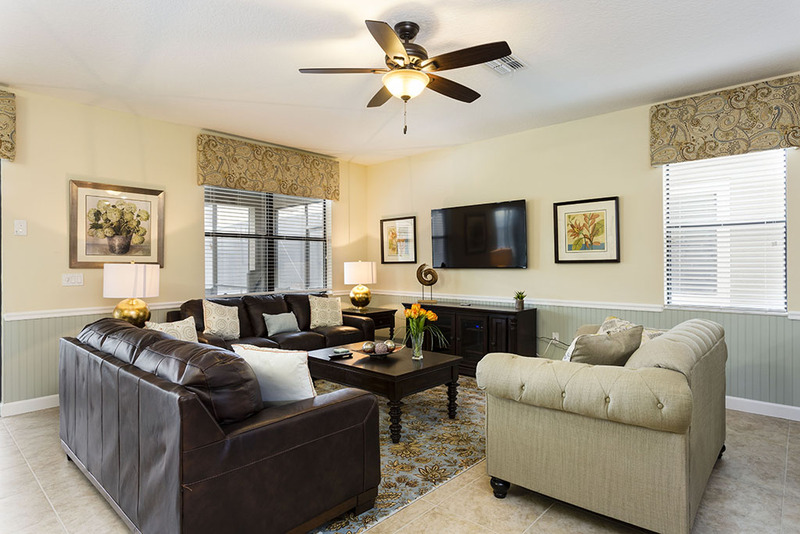 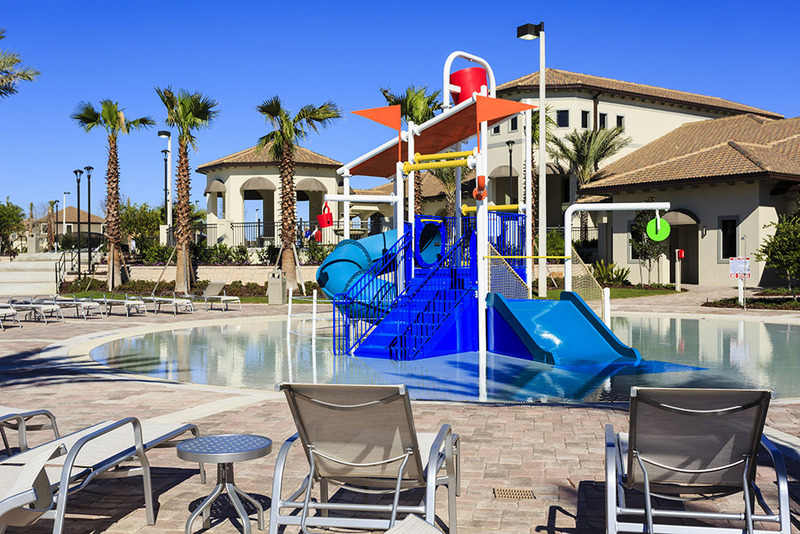 The community is a brand new development with a host of amenities in the planning that will become available to guests in the very near future and with close proximity to Disney and all major attractions. 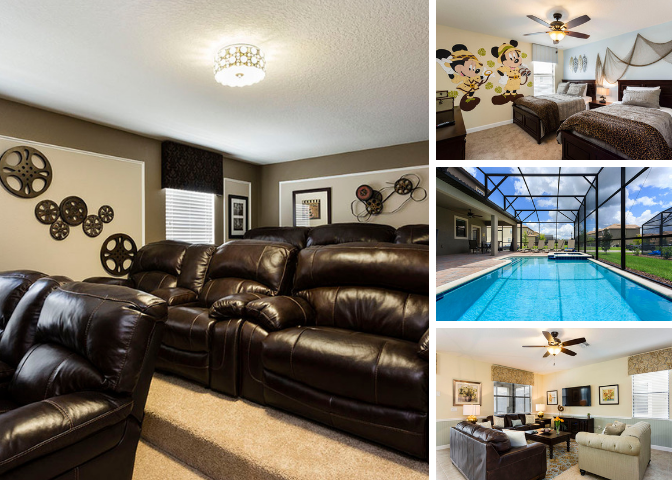 This home is perfect for friends wanting to vacation together with enough space to enjoy some relaxation, entertainment or social gatherings having been purpose built with family vacation in mind has ensured the floor plan utilizes every square foot to it's maximum potential. 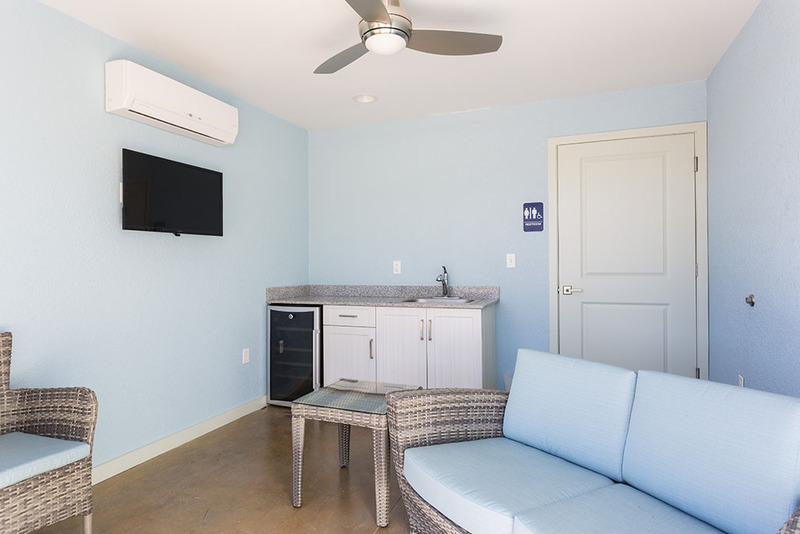 The interior has been completed by the resorts preferred designer and offers perfect use of the floor plan to accommodate guests for both social and entertaining spaces. 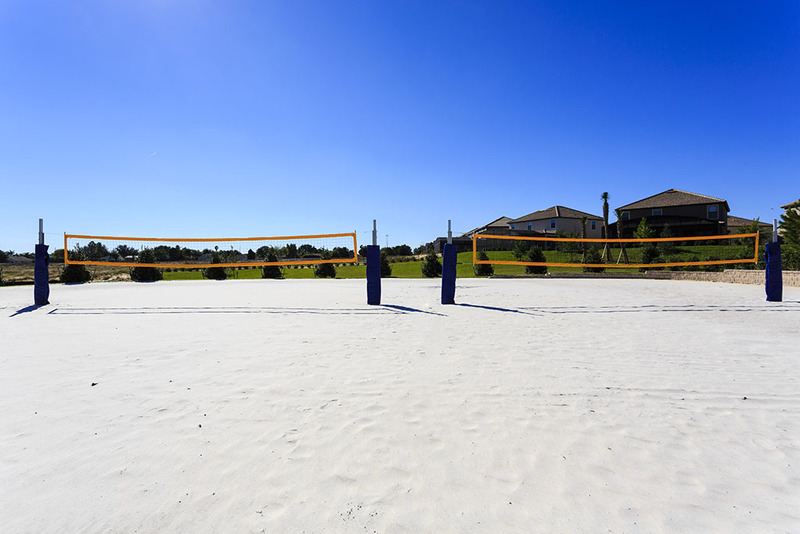 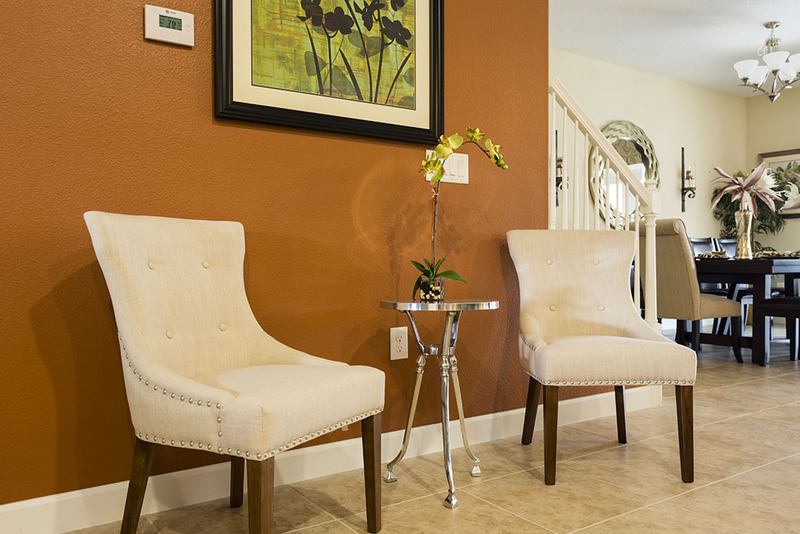 Every requirement has been met to ensure the perfect vacation home. 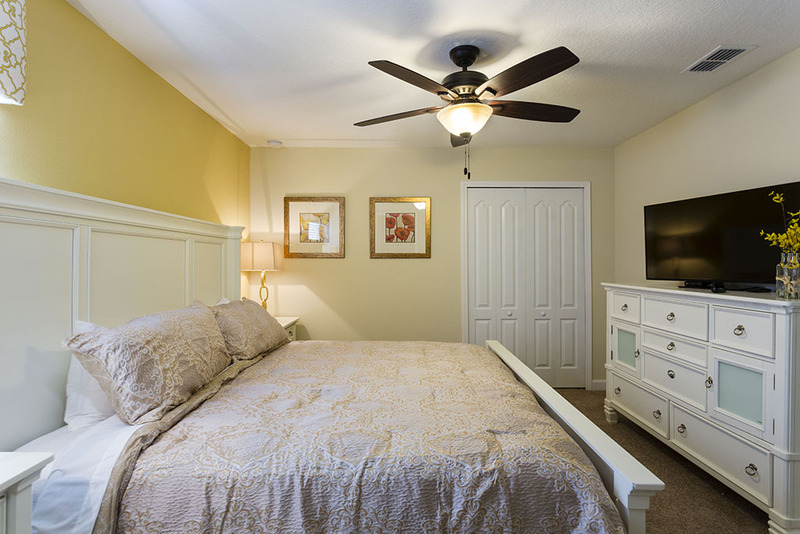 This beautiful vacation home has two bedrooms on the ground floor, one to the front, a queen-size with the bathroom having a walk in shower and twin vanities, this bathroom can also be accessed from the hallway. 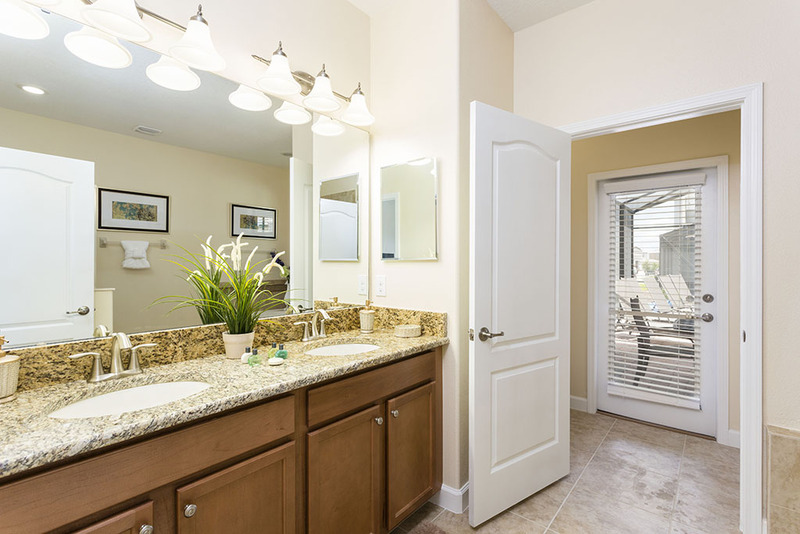 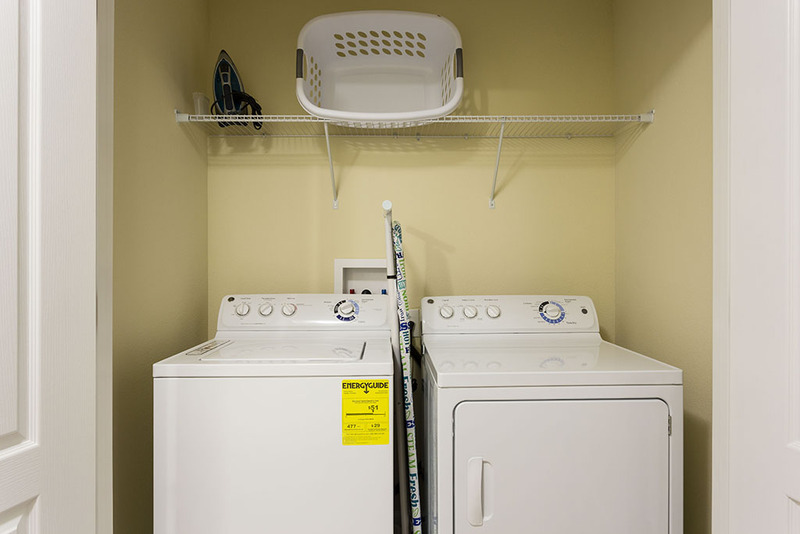 The second, a king-size master is located at the rear and has a sunken tub, walk-in shower and twin vanities with the toilet separate that is also accessible as a pool bath. 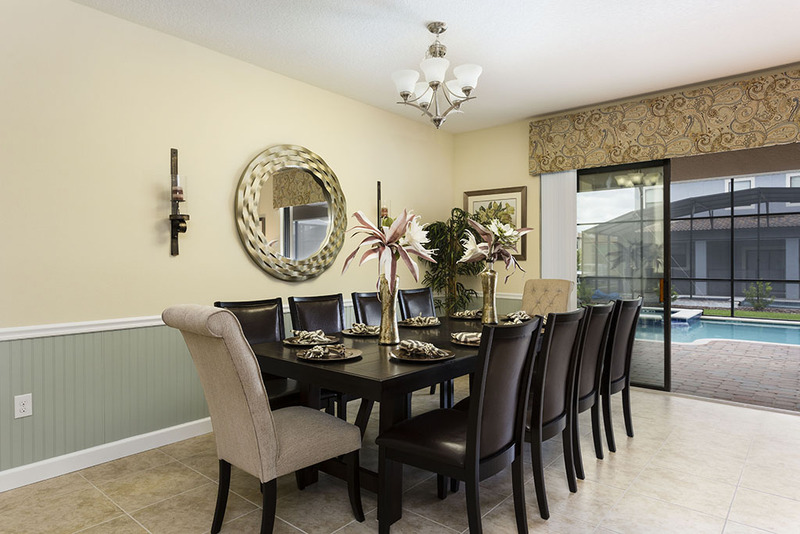 The living area is open plan and spacious incorporating a formal dining area for 10, large seating area, a fully equipped kitchen with stainless steel appliances and granite counter work surfaces which include a breakfast bar for casual dining all overlooking the outdoor living area which can be accessed from the patio doors. 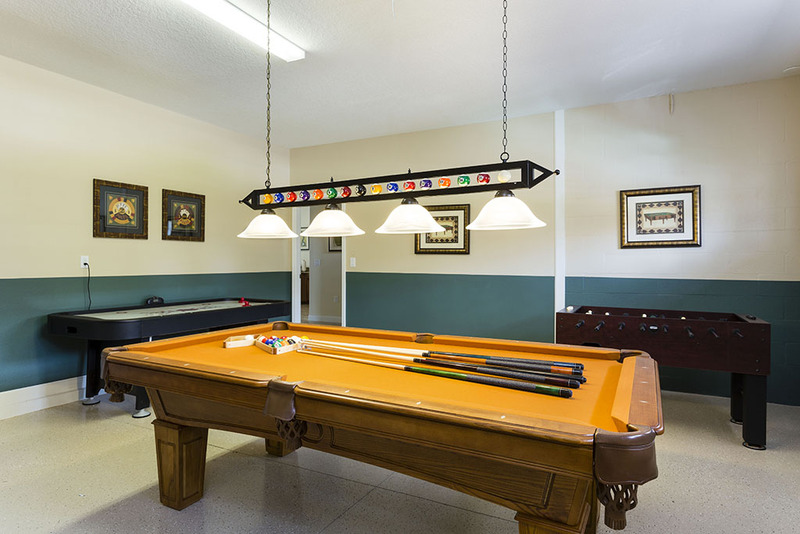 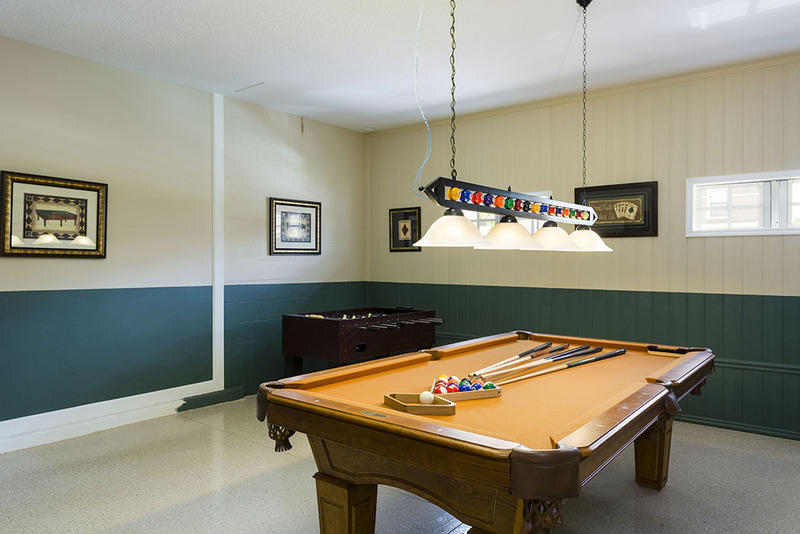 Off the hallway is a games room, the perfect space for children and adults alike to enjoy hours of fun with a pool table, air hockey, foosball TV and X box games console. 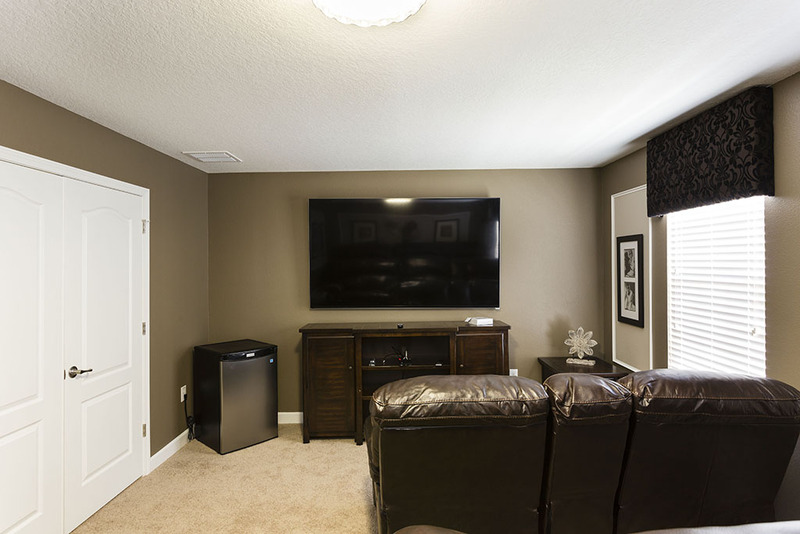 Upstairs is a loft area which provides a second seating space with a large flat screen TV. 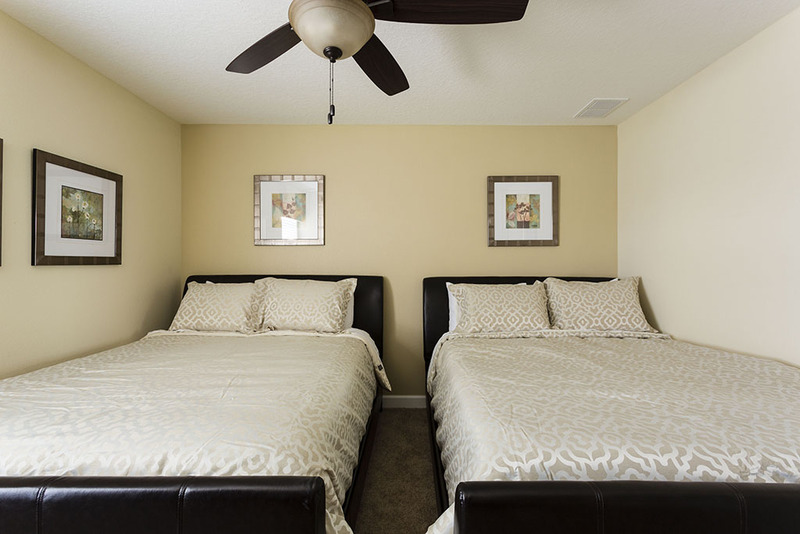 The loft is surrounded by six more bedrooms, The first bedroom having a full size and twin bed, the second has 2 queen-size beds and the third a king-size all served by the large family bathroom which has twin vanities and a walk in shower. 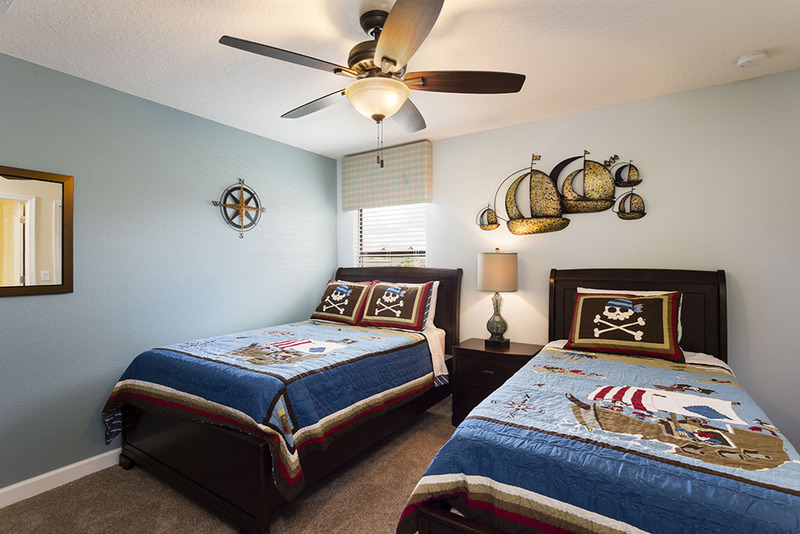 The fourth and fifth bedrooms, one a king-size and the other with a full size and a twin have a jack and jill style bathroom with walk in shower and twin vanities. 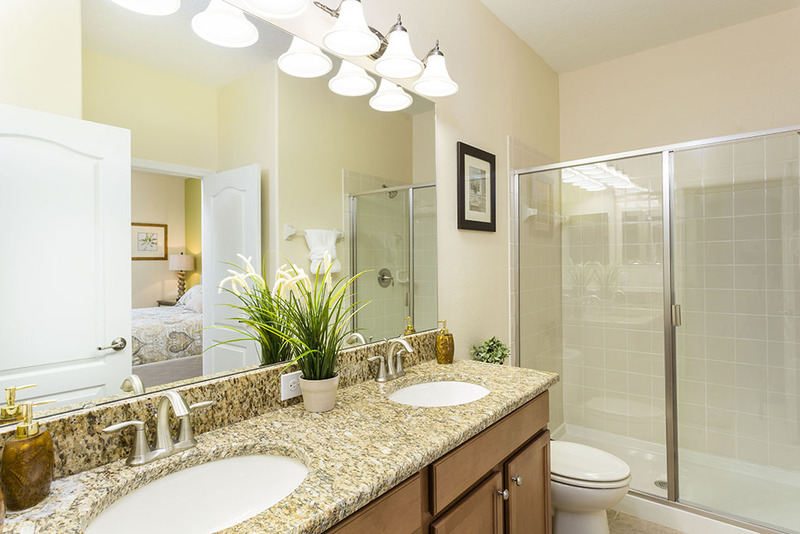 The sixth bedroom is a king-size and has access to a bathroom with a shower/tub combination. 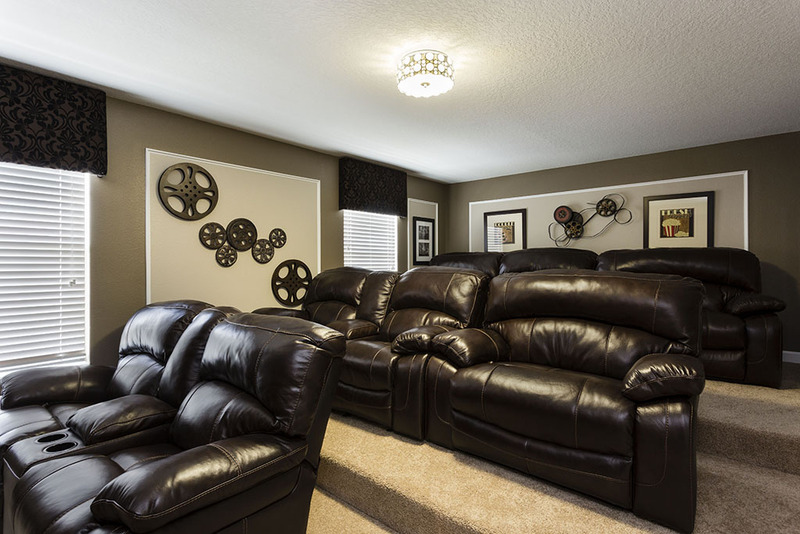 There is a movie room complete with over-sized leather seating on tiered levels and a huge wall mounted screen and blu-ray. 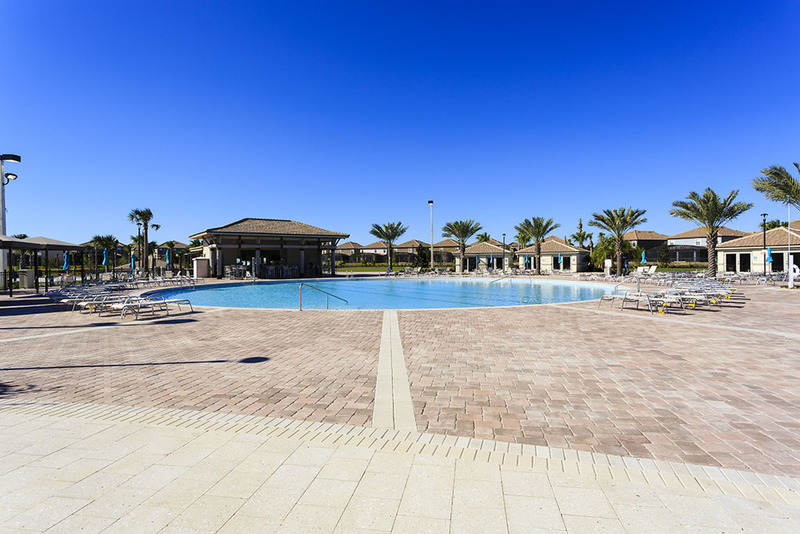 Outside the extended pool deck provides a large covered dining area where you will have both dining and comfortable seating making it the perfect space for those al fresco meals and relaxing evenings. 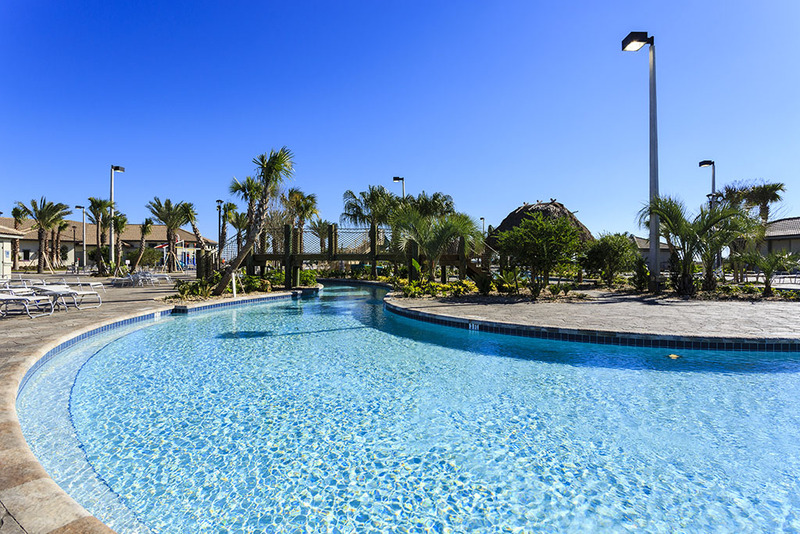 The upgraded heated pool and spa is surrounded by lounging space for those wanting to top up their tan.